Name Generator Fun - Fantasy & Real Character Names! Generate Instant Fantasy & Real Random Character Names! Welcome to the Original Name Generator Site! 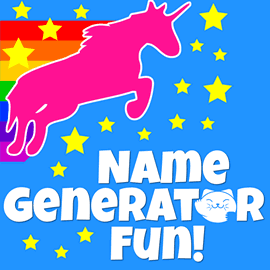 Welcome to the home of the original name generator! Our site is the creative project of soon to be husband-and-wife team Emma Davies and Saxon Bullock. You can read more about us here. 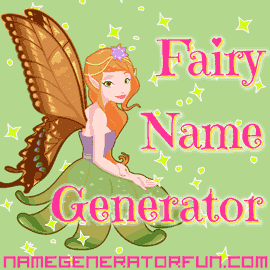 We've been making name creation tools since 1999, when we invented the original fairy name generator, and we've since expanded to feature a wide selection of fantasy name generators that will give you a well-crafted and distinctive name! Some of our most popular pages are for superhero names and rap names, but there's plenty more to discover if you're searching for a baby name or a new business name or gamertag for gaming, forums, or social media. Visit the menu above to see our full selection of name generators! 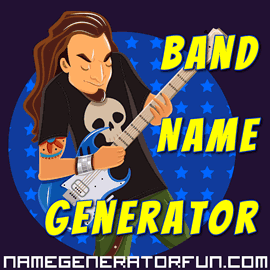 We're really proud of our new band name generator! You can generate names with different styles for different genres of music, and the result is both hilarious and awesome. If you're looking for name for your group, we're sure you'll find something memorable! Get a sneak peak of our new generators in beta! 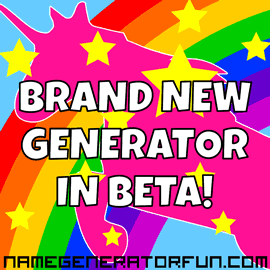 We have a ton of new name generators in beta, and we're so excited about them! They aren't finished yet – we're still playing around with the designs and the names, and we're still working on getting the fantasy character descriptions right, but here's a sneak peak! This series of generators are mainly aimed at writers and creators who are looking to make appropriate and convincing characters. Whether you're having your first go at NanoWriMo, or you're an experienced writer in need of a quick name for that minor player you've just thought up, we aim to bring some inspiration. Especially when writing a novel or a series of stories, coming up with a fitting name for each member of your cast can be surprisingly difficult and time consuming. We hope to make things easier by giving you the opportunity to craft an immense number of convincing potential characters with whom to populate your stories. We also provide a random personality type character generator on each page. The data for this is based on the Big Five personality model, which scores users on a five-factor scale abbreviated to OCEAN – openness, conscientiousness, extroversion, agreeableness, and neuroticism. The Big Five data is the "gold standard" of psychological research, and more up to date than other models. Emma created the second ever name generator on the internet in 1999 after a friend emailed her a link to a tool for making disco names. She found it so amusing that she taught herself how to code to make her own, and the first fairy generator was born! She followed up a couple of years later with the first vampire generator, and she was astonished when she discovered her site had become a meme and her colleagues were even sharing it around her own office! In 2010 she decided to concentrate on making this website. Together, she and Saxon have created a number of other original generators, such as for unicorns and mermaids, as well as many hits, including their pages for superheroes, rappers, and various kinds of fantasy names, particularly elves! 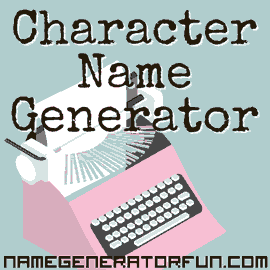 A name generator is a free tool made for the dual purposes of inspiration and entertainment. It creates random character names that are cool and funny, and it makes useful names for businesses, babies, bands, fantasy gamers and music artists. A name maker usually allows you to generate names that are random, or ones tailored to you based on your name, whether you are male or female. They can also return neutral gender results for people who would rather go incognito online. Name generators can also include name picker tools that allow you to find, filter and browse results based on meaning.